“How much longer will the verdict take, do you think?” Clary asked. She had no idea how long they’d been waiting, but it felt like ten hours. There were no clocks in Isabelle’s black and hot-pink powder-puff bedroom, just piles of clothes, heaps of books, stacks of weapons, a vanity overflowing with sparkling makeup, used brushes, and open drawers spilling lacy slips, sheer tights, and feather boas. It had a certain backstage-at-La-Cage-aux-Folles design aesthetic, but over the past two weeks Clary had spent enough time among the glittering mess to have begun to find it comforting. Clary, sitting on Izzy’s bed between a pile of magazines and a rattling stack of seraph blades, swallowed hard against the bitter taste in her throat. I’ll be back. Five minutes. That had been the last thing she had said to the boy she loved more than anything else in the world. Now she thought it might be the last thing she would ever get to say to him. Clary remembered the moment perfectly. The roof garden. The crystalline October night, the stars burning icy white against a cloudless black sky. The paving stones smeared with black runes, spattered with ichor and blood. Jace’s mouth on hers, the only warm thing in a shivering world. Clasping the Morgenstern ring around her neck. The love that moves the sun and all the other stars. Turning to look for him as the elevator took her away, sucking her back down into the shadows of the building. She had joined the others in the lobby, hugging her mother, Luke, Simon, but some part of her, as it always was, had still been with Jace, floating above the city on that rooftop, the two of them alone in the cold and brilliant electric city. Maryse and Kadir had been the ones to get into the elevator to join Jace on the roof and to see the remains of Lilith’s ritual. It was another ten minutes before Maryse returned, alone. When the doors had opened and Clary had seen her face—white and set and frantic—she had known. What had happened next had been like a dream. The crowd of Shadowhunters in the lobby had surged toward Maryse; Alec had broken away from Magnus, and Isabelle had leaped to her feet. White bursts of light cut through the darkness like the soft explosions of camera flashes at a crime scene as, one after another, seraph blades lit the shadows. Pushing her way forward, Clary heard the story in broken pieces—the rooftop garden was empty; Jace was gone. The glass coffin that had held Sebastian had been smashed open; glass was lying everywhere in fragments. Blood, still fresh, dripped down the pedestal on which the coffin had sat. Somehow that was the last straw. Prolonged hypothermia, exhaustion, and shock took their toll, and she felt her knees give. Her mother caught her before she hit the ground. There was a dark blur after that. She woke up the next morning in her bed at Luke’s, sitting bolt upright with her heart going like a trip-hammer, sure she had had a nightmare. She remembered Simon holding her hand while Luke told her what they did know: that Jace was still gone, and so was Sebastian. The bad news was that the blood on the pedestal had been identified as Jace’s. The good news was that there was less of it than they had thought; it had mixed with the water from the coffin to give the impression of a greater volume of blood than there had really been. They now thought it was quite possible he had survived whatever had happened. “But what happened?” she demanded. And now, after two weeks of repetitive testimony, after scores of witnesses had been called, after she had held the Mortal Sword a dozen times, Clary sat in Isabelle’s bedroom and waited for the Council to rule on her fate. She couldn’t help but remember what it had felt like to hold the Mortal Sword. It was like tiny fishhooks embedded in your skin, pulling the truth out of you. She had knelt, holding it, in the circle of the Speaking Stars and had heard her own voice telling the Council everything: how Valentine had raised the Angel Raziel, and how she had taken the power of controlling the Angel from him by erasing his name in the sand and writing hers over it. She had told them how the Angel had offered her one wish, and she had used it to raise Jace from the dead; she told them how Lilith had possessed Jace and Lilith had planned to use Simon’s blood to resurrect Sebastian, Clary’s brother, whom Lilith regarded as a son. How Simon’s Mark of Cain had ended Lilith, and they had thought Sebastian had been ended too, no longer a threat. Clary sighed. Even the warmth of Isabelle’s shoulder next to hers couldn’t melt the ice in her veins. She knew that technically she had broken no Laws, but she also knew the Clave was furious at her. It was illegal for a Shadowhunter to raise the dead, but not for the Angel to do it; nevertheless it was such an enormous thing she had done in asking for Jace’s life back that she and Jace had agreed to tell no one about it. Now it was out, and it had rocked the Clave. Clary knew they wanted to punish her, if only because her choice had had such disastrous consequences. In some way she wished they would punish her. Break her bones, pull her fingernails out, let the Silent Brothers root through her brain with their bladed thoughts. A sort of devil’s bargain—her own pain for Jace’s safe return. It would have helped her guilt over having left Jace behind on that rooftop, even though Isabelle and the others had told her a hundred times she was being ridiculous—that they had all thought he was perfectly safe there, and that if Clary had stayed, she would probably now be missing too. “Quit it,” Isabelle said. For a moment Clary wasn’t sure if Isabelle was talking to her or to the cat. Church was doing what he often did when dropped—lying on his back with all four legs in the air, pretending to be dead in order to induce guilt in his owners. But then Isabelle swept her black hair aside, glaring, and Clary realized she was the one being told off, not the cat. “Morbidly thinking about all the horrible things that are going to happen to you, or that you wish would happen to you because you’re alive and Jace is… missing.” Isabelle’s voice jumped, like a record skipping a groove. She never spoke of Jace as being dead or even gone—she and Alec refused to entertain the possibility. And Isabelle had never reproached Clary once for keeping such an enormous secret. Throughout everything, in fact, Isabelle had been her staunchest defender. Meeting her every day at the door to the Council Hall, she had held Clary firmly by the arm as she’d marched her past clumps of glaring, muttering Shadowhunters. She had waited through endless Council interrogations, shooting dagger glances at anyone who dared look at Clary sideways. Clary had been astonished. She and Isabelle had never been enormously close, both of them being the sort of girls who were more comfortable with boys than other female companionship. But Isabelle didn’t leave her side. Clary was as bewildered as she was grateful. “I don’t know.” Isabelle sounded weary. For the past two weeks she and Alec had been exhausted and gray-faced from sixteen-hour patrols and searches. When Clary had found out she was banned from patrolling or searching for Jace in any way until the Council decided what to do about the fact that she had brought him back from the dead, she had kicked a hole in her bedroom door. “Sometimes it feels so futile,” Isabelle added. “But they’re patrolling in other cities, right?” Clary put a hand to her throat, forgetting that the Morgenstern ring no longer hung there. Magnus was still trying to track Jace, though no tracking had yet worked. Clary hesitated. The bell had been a gift from the Seelie Queen. No, that wasn’t quite right. The Queen of the faeries didn’t give gifts. The bell was meant to signal the Seelie Queen that Clary wanted her help. Clary had found her hand wandering to it more and more often as the days dragged on with no sign of Jace. The only thing that stopped Clary was the knowledge that the Seelie Queen never gave anything without the expectation of something terrible in return. Before Clary could reply to Isabelle, the door opened. Both girls sat up ramrod straight, Clary clutching one of Izzy’s pink pillows so hard that the rhinestones on it dug into the skin of her palms. “Hey.” A slim figure stepped into the room and shut the door. Alec, Isabelle’s older brother, was dressed in Council wear—a black robe figured with silver runes, open now over jeans and a long-sleeved black T-shirt. All the black made his pale skin look paler, his crystal-blue eyes bluer. His hair was black and straight like his sister’s, but shorter, cut just above his jawline. His mouth was set in a thin line. Clary’s heart started to pound. Alec didn’t look happy. Whatever the news was, it couldn’t be good. Alec sat down at the vanity table, swinging himself around the chair to face Izzy and Clary over the back. At another time it would have been comical—Alec was very tall, with long legs like a dancer, and the way he folded himself awkwardly around the chair made it look like dollhouse furniture. Isabelle exhaled an audible breath and smiled. For just a moment a feeling of relief broke through the layer of ice over all of Clary’s emotions. She wasn’t going to be punished, locked up in the Silent City, trapped somewhere where she couldn’t help Jace. Luke, who as the representative of the werewolves on the Council had been present for the verdict, had promised to call Jocelyn as soon as the meeting ended, but Clary reached for her phone anyway; the prospect of giving her mother good news for a change was too tempting. Wards—which served, as Clary understood it, as a sort of magical fence system—surrounded Earth, put there by the first generation of Shadowhunters. They could be bypassed by demons but not easily, and kept out the vast majority of them, preventing the world from being flooded by a massive demon invasion. She remembered something that Jace had said to her, what felt like years ago: There used to be only small demon invasions into this world, easily contained. But even in my lifetime more and more of them have spilled in through the wardings. Normal life? Clary couldn’t believe it. A normal life without Jace? “It’s supposed to be good advice,” said Alec from behind his fingers. “Could the ‘wrong’ thing be that he’s being held prisoner?” said Clary in a small voice. “Then screw the Council. We’ll find him ourselves,” Clary said. “Clary… if that were possible… don’t you think we already would have—,” Alec began. “Ways that break the Law, you mean,” said Alec. He sounded hesitant. Clary hoped he wasn’t going to repeat the Shadowhunters’ motto when it came to the Law: Sed lex, dura lex. “The Law is harsh, but it is the Law.” She didn’t think she could take it. “I’ll go with you,” Isabelle said immediately. “Do you want to use my phone?” Isabelle asked, offering the battered pink object to him. In silence, the three of them made their way through the corridors of the Institute, oddly crowded now with other Shadowhunters, some of whom were part of the special commissions that had been sent out from Idris to deal with the situation. None of them really looked at Isabelle, Alec, or Clary with much curiosity. Initially Clary had felt so much as if she were being stared at—and had heard the whispered words “Valentine’s daughter” so many times—that she’d started to dread coming to the Institute, but she’d stood up in front of the Council enough times now that the novelty had worn off. They took the elevator downstairs; the nave of the Institute was brightly lit with witchlight as well as the usual tapers and was filled with Council members and their families. Luke and Magnus were sitting in a pew, talking to each other; beside Luke was a tall, blue-eyed woman who looked just like him. She had curled her hair and dyed the gray brown, but Clary still recognized her—Luke’s sister, Amatis. Magnus got up at the sight of Alec and came over to talk to him; Izzy appeared to recognize someone else across the pews and darted away in her usual manner, without pausing to say where she was going. Clary went to greet Luke and Amatis; both of them looked tired, and Amatis was patting Luke’s shoulder sympathetically. Luke rose to his feet and hugged Clary when he saw her. Amatis congratulated Clary on being cleared by the Council, and she nodded; she felt only half-there, most of her numb and the rest of her responding on autopilot. She could see Magnus and Alec out of the corner of her eye. They were talking, Alec leaning in close to Magnus, the way couples often seemed to curve into each other when they spoke, in their own contained universe. She was happy to see them happy, but it hurt, too. She wondered if she would ever have that again, or ever even want it again. She remembered Jace’s voice: I don’t even want to want anyone but you. “Earth to Clary,” said Luke. “Do you want to head home? Your mother is dying to see you, and she’d love to catch up with Amatis before she goes back to Idris tomorrow. I thought we could have dinner. You pick the restaurant.” He was trying to hide the concern in his voice, but Clary could hear it. She hadn’t been eating much lately, and her clothes had started to hang more loosely on her frame. “Clary, it doesn’t mean they’re going to stop,” said Luke. “Okay.” Through the twinge of guilt, she managed a real half smile in his direction before she turned away. Magnus and Alec were no longer where they had been a moment ago. Glancing around, Clary saw Izzy’s familiar long black hair through the crowd. She was standing by the Institute’s large double doors, talking to someone Clary couldn’t see. Clary headed toward Isabelle; as she drew closer, she recognized one of the group, with a slight shock of surprise, as Aline Penhallow. Her glossy black hair had been cut stylishly just above her shoulders. Standing next to Aline was a slim girl with pale white-gold hair that curled in ringlets; it was drawn back from her face, showing that the tips of her ears were slightly pointed. She wore Council robes, and as Clary came closer she saw that the girl’s eyes were a brilliant and unusual blue-green, a color that made Clary’s fingers yearn for her Prismacolor pencils for the first time in two weeks. The two girls exchanged nods. Clary had once walked in on Aline kissing Jace. It had been awful at the time, but the memory held no sting now. She’d be relieved to walk in on Jace kissing someone else at this point. At least it would mean he was alive. “Valentine’s daughter,” Helen said. She looked surprised and a little impressed. “I heard there’s some faerie blood in that family,” said Alec. Ah, Clary thought. That explained the pointed ears. Nephilim blood was dominant, and the child of a faerie and a Shadowhunter would be a Shadowhunter as well, but sometimes the faerie blood could express itself in odd ways, even generations down the line. “It could definitely be worse,” said Alec, and there was a grim edge to his voice that made Clary look at him sharply. “They’re fine with it,” Isabelle said, a little too sharply. “They were eating wax,” the boy—Jules—supplied helpfully. Jules looked from Alec to Isabelle and then at Clary. “How many brothers and sisters have you got?” he asked. Jace is gone. The Clave is worried about Sebastian: how he came back to life, where he went, and what he’ll do next. They are concerned about who is to blame for what happened, and how they can best protect the Shadowhunters and the rest of the world. But Clary is concerned about only one thing—Jace is gone. He is gone and she has to find him, for he is her life. It was her request of the angel Raziel that allowed Lilith to take control of Jace in the first place, so it’s up to her to find him and make him safe once again. When Jace shows up at Luke’s house with Sebastian, Clary is left with only one choice—to follow him. Sebastian and Jace are inextricably linked, and one cannot be killed without the other one dying. So Clary will pretend to join Jace and Sebastian in their dark plan while her friends search desperately for some way to sever the bond between the two boys. As she does her best to find out their plan, she has to keep reminding herself that the Jace she’s seeing now isn’t the same Jace she fell in love with. And everyone—Clary, Simon, Alec—has some hard lessons to learn about love and trust and commitment before this whole ordeal is over. 1. Why does the Clave deprioritize the search for Jace and Sebastian? Do you think that this is a fair decision? Do you think they would have made a different decision if they knew what Sebastian was planning? 2. The Shadowhunter motto is Descensus Averno facilis est or “The descent into hell is easy.” Why is this an appropriate motto for this group? Does it apply more to some characters than to others? 3. Would it have been better if Jocelyn had killed Sebastian in his crib, as Clary thinks in a flash of anger? How would this have changed Jocelyn as a person? Do you think Valentine would have stopped his experiments if Sebastian had been killed as an infant? 4. With Jace gone, Clary mentions feeling cold all the time . . . like there is ice in her veins and a layer of ice around her emotions. Why do you think that she associates cold with his absence? What does this icy feeling protect her from? What harm does it do her? 5. Now that Cassandra Clare is writing another series of Shadowhunter books, The Infernal Devices, she is able to reference other characters and items from the past Shadowhunter’s. Discuss some of these references, both in this book and in the City of Fallen Angels. What is the importance of these references? How do you think Clare might connect these two series? 6. The Seelie Queen warns Clary and her friends that Jace may be quite changed when they finally find him. Is she correct? How are his interactions with Sebastian different now than they were before he disappeared off the roof? What about his interactions with Clary? How does Clary react to these changes in Jace? 7. Why does Jocelyn make Clary leave Luke’s house after Jace and Sebastian attack it? Is she right about Morgenstern men not giving up? Do you think this is a trait that Jace got from Valentine, or does it have more to do with his personality and his relationship to Clary? 8. How is the “twinning” ritual that Lilith performed on Sebastian and Jace different from the parabatai ceremony? In what ways is it similar? Why does it make the task set before Clary and her friends more difficult? 9. Raphael believes a war is coming that will destroy Shadowhunter and angel alike, and he cautions, “And you had better pray, Daylighter, that you do not lose that Mark before the war comes. For if you do, there will be a line of enemies waiting their turn to kill you. And I will be at the head of it.” Is there anything besides the Mark of Cain that can protect Simon? Now that he no longer has the Mark, do you think Raphael will be proven right? Could Simon have avoided this situation by forming alliances with other vampires? 10. Do you agree with Clary when she asserts that there is no such thing as morality when it comes to love, and that you can do anything for the people you love? Or would you align yourself with Simon, who believes that while love is not moral or immoral, the actions we take in the name of love are? Do their actions match up with their beliefs? Do they stay true to their positions throughout the course of the story? 11. What do we learn about Izzy in this book? Is Jocelyn correct when she says that Izzy won’t be able to help but shine during dark and difficult times? Does Izzy deserve her reputation of making her few speeches count? 12. When she is trying to break through the hold that Sebastian has on Jace, Clary is reminded of some lines from a Leonard Cohen song: “There is a crack in everything/That’s how the light gets in.” Is there a way for the light to get into Jace? Should Clary keep trying? 13. Why does Simon feel like he can’t feed from Izzy? Why does she want him to? How does their relationship change once he does? 14. What is the significance of the Rudyard Kipling poem that Jordan has tacked up on his bedroom wall? Does it mean something different to him now than it used to? 15. Why does Maia ask Luke’s advice on some matters, even though she and Jordan had already discussed them? Are Clary, Izzy, Alec, Simon, and the rest of their group old enough to handle the situations that they are faced with? Does their experience give them any extra maturity or wisdom? 16. Why did Sebastian lie about the meaning of the Latin phrase, “Acheronta movebo,” on his bracelet? Why is this phrase so important to him? Did Clary understand the importance of this lie? 17. Why does Clary prevent Jace from turning himself and the new Mortal Cup into the Clave? Why does she come to regret this decision? How is making this decision different than making the decision to kill Jace on the battlefield? 18. What effect does stabbing Jace with Glorious have on him? Is this what Simon and the others expected when they raised the angel Raziel to ask for a weapon? Why do you think Jace is suffering these particular side effects? 19. How dangerous is Maureen? Why does she appear to be so powerful? What do you think she wants? 1. Shadowhunters use a lot of Latin phrases—their motto, engravings in the Silent City, the phrase on Sebastian’s bracelet. Make a list of common Latin phrases that we mundanes use regularly. Perhaps you can find a basic Latin primer, or someone who knows Latin, and you can learn something about this beautiful ancient language. 2. Imagine how these books would have been different if Sebastian had been killed as a baby. Write a scene that illustrates some of the changes you think would exist. 3. 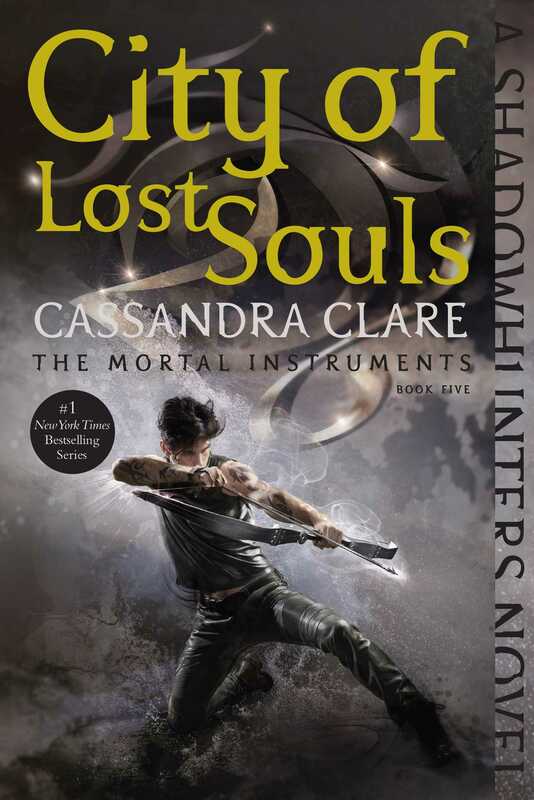 Clary visits a number of foreign cities while living in the apartment with Sebastian and Jace. Choose one of the cities that they visit, and research its history. See if you can find some photos of the things that Clary sees while she’s in that city. 4. The Shadowhunters have healing iratze runes, but we have to rely on medical training. Consider becoming certified in First Aid or CPR, so that you can help other people heal, even without a stele. 5. Clary steals two faerie-work rings from the Institute, which allow her to communicate with Simon. Draw a picture of what you think these faerie-work rings might look like. 6. When Magnus and the others summon the demon Azazel, they each have to give up a memory as payment for his help. What memory would you give up, if you had to? What memories would you never give up? Write a short essay describing these different memories.